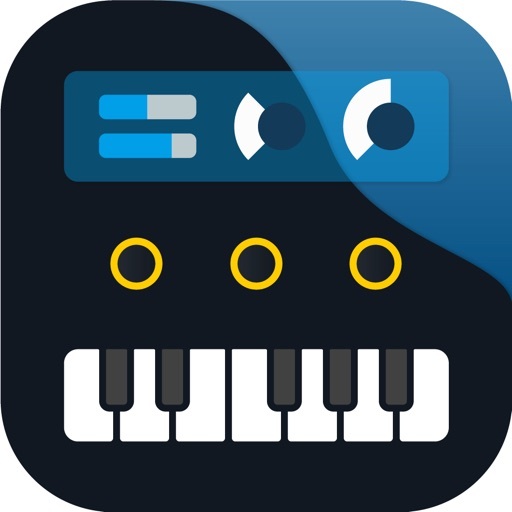 Latest Update: Tuesday, June 07, 2016 by Yonac Inc.
Latest Update: Monday, March 11, 2019 by KORG INC.
Tines emulates an electric piano. With internal effects like a stereo tremolo, a multiband distortion panel and a subtle roomy reverb Tines can sound like anything between a dreamy slick Rhodes to a nasty Wurlitzer. A finetuned velocity curve makes it a joy to play Tines on an external keyboard. • AUv3, works with AUv3 compatible hosts like Garageband, Cubasis, AUM etc. Note: Tines in stand-alone mode does not support IAA, Audiobus or MIDI. You can play it using the keys at the bottom, but that’s it. We recommend using Tines with AUv3 compatible hosts. iPad 4 or later is recommended. The ultimate piano instrument provides you with an extraordinary collection of ultra-realistic acoustic pianos along with built-in recording! Use the iRig KEYS and KEYS PRO portable keyboards (www.irigkeys.com) or the iRig MIDI 2 interface (www.irigmidi.com) to connect your external keyboard, and you're ready to compose, rehearse, perform and record with the very best instruments for your mobile world. You can now edit your sound even further with the new 3-band EQ and save up to 4 user variations per instrument. iGrand Piano puts an entire gallery of the world's finest pianos right at your fingertips with studio-grade quality never heard before in any other app that stands up to the most powerful virtual instruments available on a computer. With high-definition stereo samples across multiple velocities, iGrand Piano brings you the most playable, expressive and beautiful sounding grand, baby grand, upright and specialty piano instruments available on a mobile device that you can play anytime and everywhere. 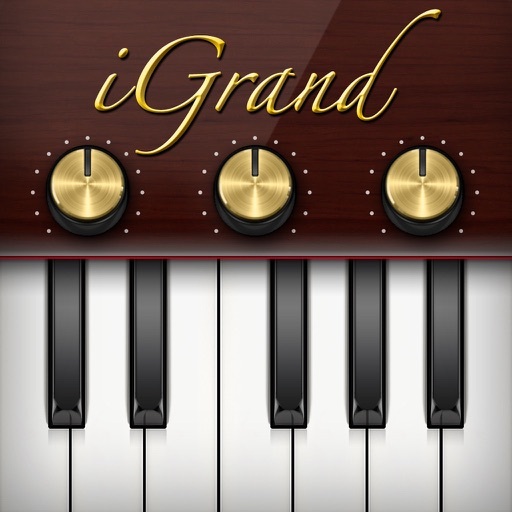 iGrand Piano gives you 8 world-class pianos (including one by registering) along with a capable recorder and metronome. 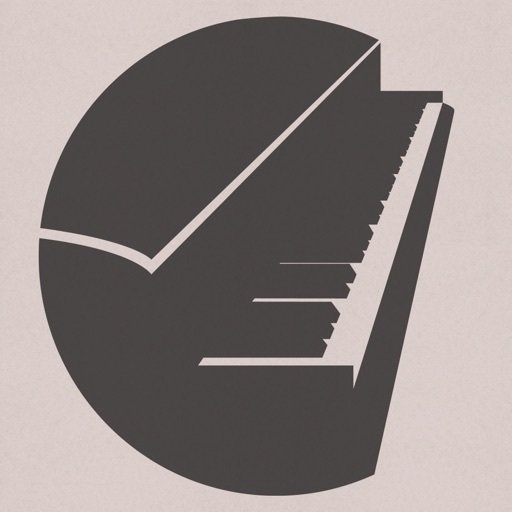 Add the Piano Expansion 1 via in-app purchase to extend your piano library with 9 additional high-quality instruments or the Piano Expansion 2 with 22 all-new instruments including the Hollywood Piano, piano + strings layers and harpsichords. Record your rehearsals or performances as MIDI with both overdubbing and punch-in capability, then export your track as audio via E-mail or File Sharing or Audio Copy to other iOS apps. With the built-in MIDI Recorder, you can change the tempo of your piece or even choose to use a different piano AFTER you've completed your performance! For composers of any level, the MIDI Recorder lets you capture and develop ideas anywhere your mobile life takes you. iGrand Piano also includes some professional MIDI performances to help you audition the various piano instruments or just inspire your own creative muse! 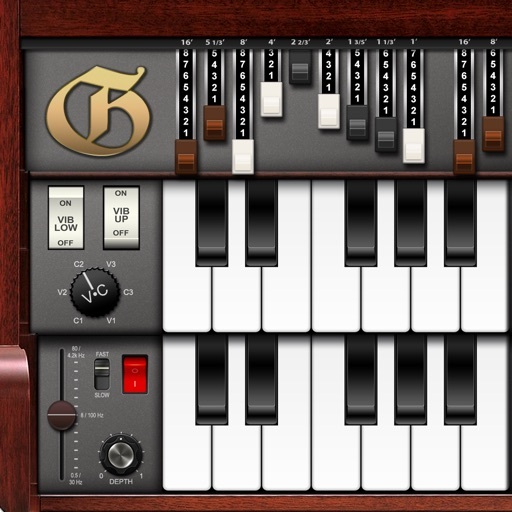 The easy-to-use instrument editor puts real-time controls on the panel just above the keys to let you adjust the amount of ambience, the position of the lid (open, closed or anything in between), brightness, envelope release, key transposition and tuning. All edit knobs can be assigned to your choice of MIDI controllers for external fine-crafting of your instrument's sonic details. Virtual MIDI and MIDI Program Change are also supported along with Audiobus and Inter-App Audio for iOS 8.